Australian police on Wednesday said they had apprehended a British suspected drug offender, who tried to flee to Papua New Guinea on a jet ski. 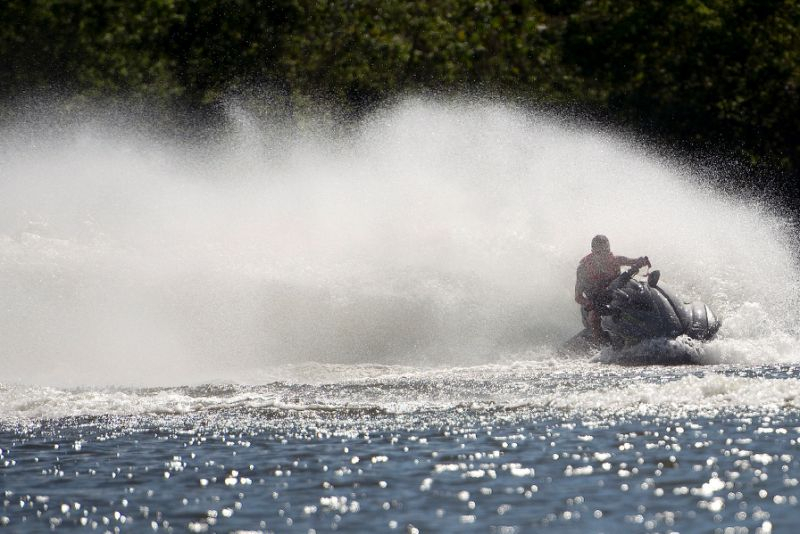 Border police said they received a tip-off that "a man, possibly armed with a crossbow and carrying additional fuel and supplies, had been seen launching the jet ski" from a peninsula in the far northeast of the country. The suspect — "a 57-year-old UK national who was subject to an outstanding warrant for drug-related charges in Western Australia" — was caught on mudflats off an island just kilometres (miles) from the Papua New Guinea mainland. He had travelled roughly 150 kilometres (90 miles) across the Torres Strait. The man is currently awaiting extradition to West Australia. His jet ski was towed. "We have the ability to detect a range of border threats, including suspicious movements through the region," the Australian Border Force's Jo Crooks said. "Anyone who thinks they can either enter or leave Australia through the region without detection should think again," she said.